PERT-WEEK - New Beginnings: Spearhead From Space & Rose | Warped Factor - Words in the Key of Geek. Anyone lucky enough to have been watching Doctor Who on both January 3, 1970 & March 26, 2005 could have been forgiven for a sense of deja vu. Both were watershed moments, of course. 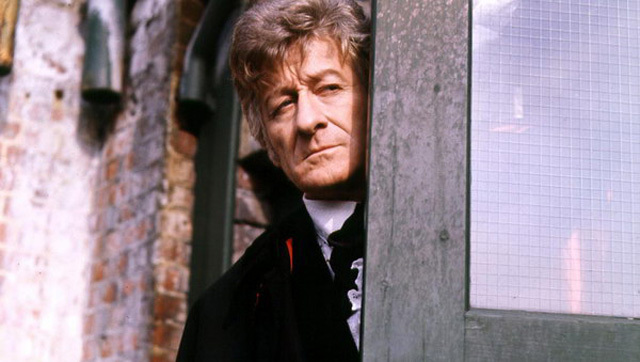 The dawn of the Seventies saw both a change of Doctor and format, as Jon Pertwee took the TARDIS key from Patrick Troughton, the series moved into colour for the first time, and BBC budget cuts forced the show to take a more Earthbound approach. First, the Doctor must break out of hospital, having been found face down in local woodland - thrust into exile as per the sentence passed on him in The War Games and quickly finding himself quite the in-patient. DOCTOR: I must find my shoes. NURSE: Why? You don't need them. You're not going anywhere. DOCTOR: You don't understand, madam. It's most important. HENDERSON: How is he, nurse? NURSE: His pulse seems to have settled down, sir. Ten a minute. HENDERSON: Yes, well, the trouble is, we don't know what's normal for him, do we? Hello! How are you feeling? HENDERSON: I beg your pardon? NURSE: They seem to be worrying him, sir. I think he believes they've been stolen. HENDERSON: Well, if he wants them, he might as well. Where are they, nurse? HENDERSON: Ah! Are these what you're looking for? I wonder if the brain's damaged? NURSE: He does seem to be behaving very erratically. Meanwhile, a change of Doctor means a new companion. Step forward Cambridge's finest, Liz Shaw, aka Caroline John. LIZ: Was all that nonsense out there really necessary? Identity passes? Guards? I was even searched. BRIGADIER: Security. Rather amusing, don't you think? No, you don't. LIZ: I have an important research programme going ahead at Cambridge. BRIGADIER: Yes, I know. An expert in meteorites, degrees in medicine, physics and a dozen other subjects. Just the sort of all-rounder I've been looking for. LIZ: How I feel doesn't matter? BRIGADIER: We need your help, Miss Shaw. LIZ: I'm just not interested in security work. LIZ: Producing invisible ink. That sort of thing. BRIGADIER: We're not exactly spies here at UNIT. LIZ: Then what do you do, exactly? BRIGADIER: We deal with the odd, the unexplained, anything on Earth, or even beyond. LIZ: Alien invaders? Little blue men with three heads? BRIGADIER: Ten tons of alien material drift through space and land on this planet every day. LIZ: And do no harm to anyone. BRIGADIER: Early this morning a shower of about fifty meteorites landed in Essex. LIZ: Landed? Most meteorites don't even reach the Earth's surface. They usually burn up in the atmosphere. BRIGADIER: These didn't. These particular meteorites came down through a funnel of thin, super-heated air about twenty miles in diameter, for which no one has an explanation. Well, eventually someone will - once he's out of hospital and on the case after a quick shower. 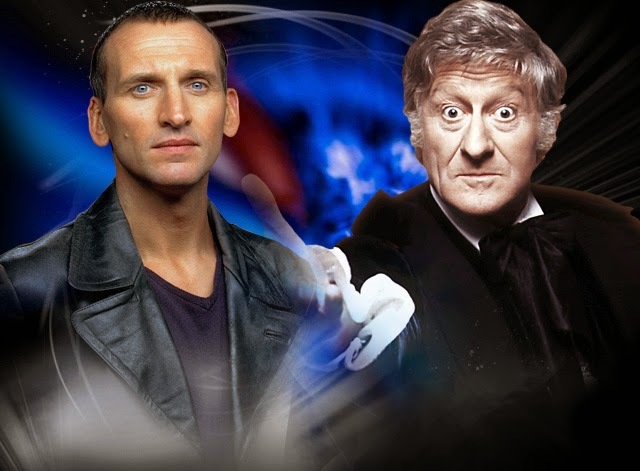 Seven regenerations on from that first meeting with the Consciousness, Russell T Davies' reboot of the series kicked off with Christopher Eccleston unveiled as the Ninth Doctor & Billie Piper as new companion Rose Tyler. "Right, I've got the joke. Who's idea was this? Is it Derek's? Is it? Derek, is this you?" Of course, this is no practical joke by a colleague. NUS card-holders aren't to blame either. DOCTOR: Well, you said it. Why students? DOCTOR: That makes sense. Well done. Any parents, say, who'd seen Spearhead as youngsters and were now watching Rose with their own children could probably have guessed that! Luckily for the kids, the now leather jacket-clad Doctor was on hand to recap what they'd missed while they were probably twinkles in the eyes of their future mums & dads. ROSE: Okay. Start from the beginning. I mean, if we're going to go with the living plastic, and I don't even believe that, but if we do, how did you kill it? DOCTOR: The thing controlling it projects life into the arm. I cut off the signal, dead. ROSE: So that's radio control? DOCTOR: Thought control. Are you all right? ROSE: Yeah. So, who's controlling it, then? ROSE: But what's it all for? I mean, shop window dummies, what's that about? Is someone trying to take over Britain's shops? DOCTOR: It's not a price war. They want to overthrow the human race and destroy you. Do you believe me? DOCTOR: But you're still listening.